This jacket comes from the famous Marvels superhero series Captain America Civil War. 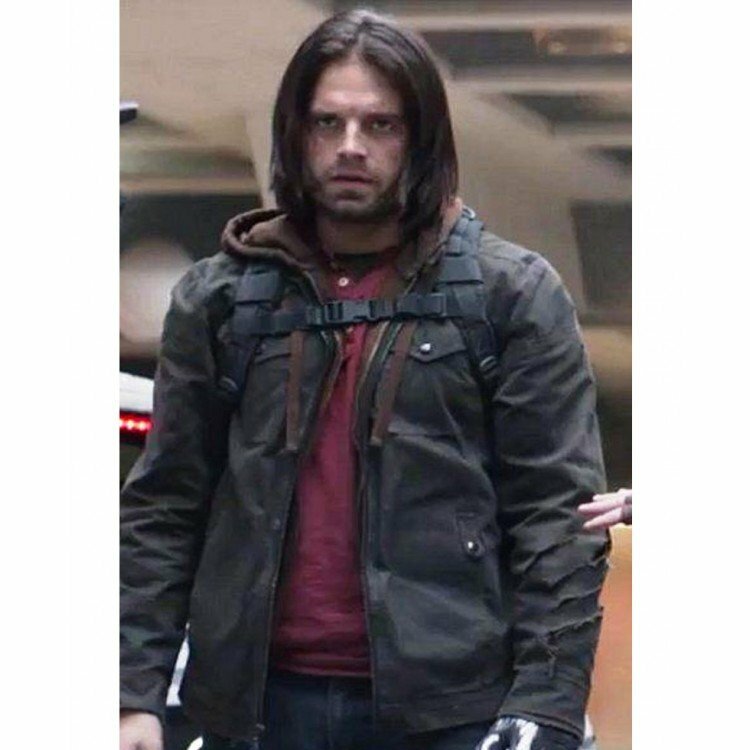 Sebastian Stan has shown up with this beautiful jacket and portrayed the character of Bucky Barnes. Although he played the character which is not much likely hero type he showed up with this jacket which has a style and quality to compete for the most of jackets. William jacket has made the same featured Captain America Civil War Sebastian Stan Jacket with the quality material of cotton. Moreover, this jacket has a viscose lining interior so you could feel more comfortable while wearing it on most of the weather conditions. This Bucky Barnes cotton jacket has a zipper closer front which allows you to operate it easily from the front. It has full-length sleeves which are quite suitable for its overall styling rather than a sleeveless jacket. Moreover, this jacket has stylish snap tab flapped pockets which are placed and both sides of chest area so you could keep your thing safe and closer with you. This Sebastian Stan cotton jacket has black color and style which could carry on many events. This dress was beautiful. However, I had to do some sewing to repair thus dress. I was afraid to return or exchange it because when I orders there were only 4 days left. There was also extra material hanging off the dress which I had to cut it and sew.